September | 2011 | That Mall is sick and that Store is dead! The world changed on September 11, 2001. So did the corporate world’s desire to communicate directly to the public. This gallery documents the groundbreaking use of corporate homepages as a direct outlet for the people and emotion behind the brands.
! 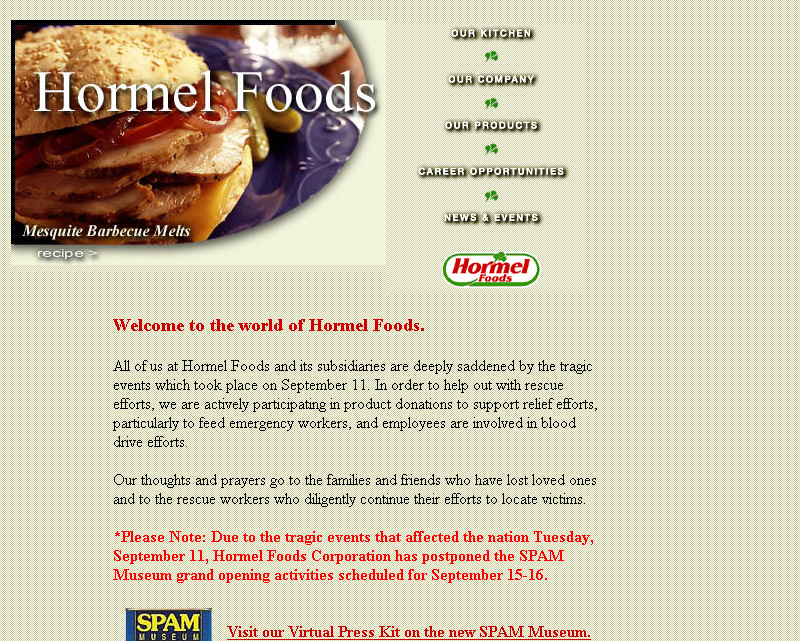 I forgot the Spam museum was supposed to open around 9/11. Also, the Spam museum is in an old Kmart. This entry is an archive of everything Target for Missoni related. http://modernkiddo.com/?p=6055, which also includes the “Four cart asshat”, heh.